Inverawe Country Park is located about 15 miles east of Oban on the A85. This is where we carry out some of our experiences, within this stunningly, beautiful forested area of Argyll. Witness true Harris Hawk behaviour as they lead us through the woods on the beautiful Nature Trail, within the spectacular woodland of Inverawe. Thrill at the speed the Harris' Hawks can fly through the woods, like a ghost, you only know they're there by hearing their bells as they whizz past with grace and agility. Paul will guide you in the safe handling of the hawks and point out any other interesting wildlife or behaviour. 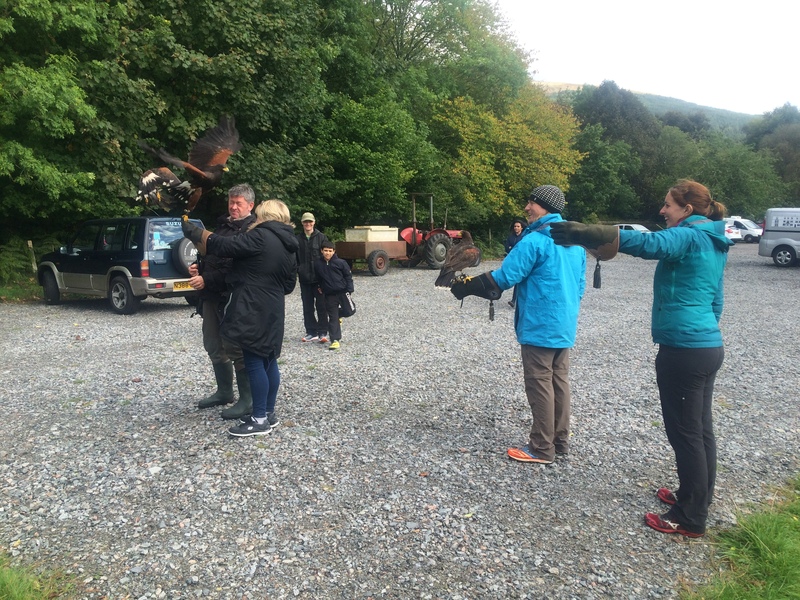 The Falconry Experience 3 is my most popular experience and is a perfect stepping stone leading to a course as you handle and fly different types of raptors used in falconry. I will actively discourage you from taking up falconry as its a dedicated life style choice, which is all consuming, 24-7, 365 days a year, requiring not only your full commitment, but your family and friends!